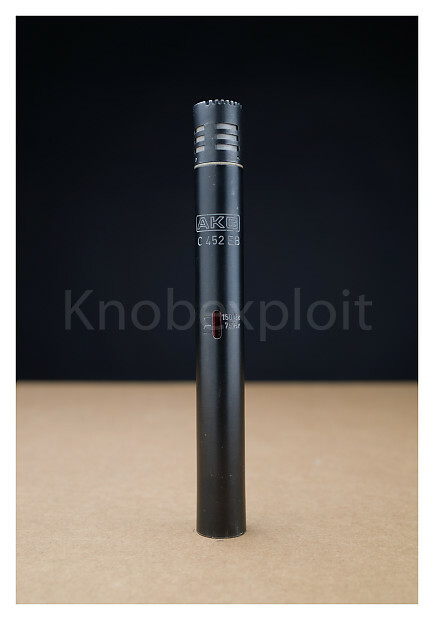 Selling this vintage AKG C 452 EB microphone with CK-1 cardioid capsule. Item is in normal vintage condition, shows some sings of use. Please inspect the picture to see if its up to your quality standard. Shipping quote is for the USA!!! Other countries ask quote. Due to vintage status no returns accepted. I will ship with Fedex international Economy to the continental USA, EU, Japan, Canada, Australia, Norway and Switzerland. Full value will be declared on customs documents, requests to lower value will be ignored. Shipping to the above mentioned locations only, no exceptions. Buyers within EU with a valid tax number please contact me prior to purchase to set up a 0% VAT sale (VAT number will be checked first).